Huawei Nova 3 vs OnePlus 6 vs ZenFone 5Z: Best Affordable Flagship? Now that we’ve got the specifications out of the way, let’s take a look at the design and build quality of the two devices. All three devices have the same glass sandwich design, with a metal frame sandwiched between two layers of glass. Up front, all devices have the unsightly notch, with the OnePlus 6 sporting the smallest notch of the lot. While I would give points to OnePlus for the smaller notch, it’s worth noting that the Nova 3 makes good use of the notch by packing in dual front facing cameras and an IR emitter, which kind of evens out the difference. 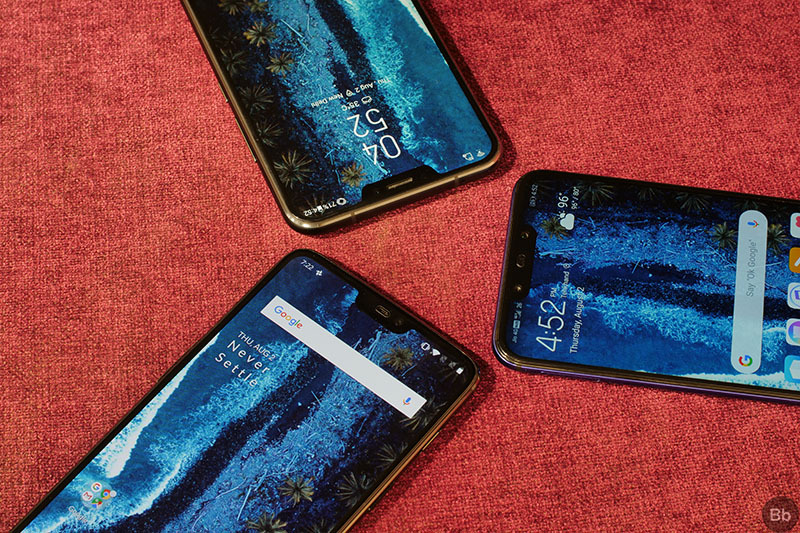 The ZenFone 5Z doesn’t bring anything additional to the table with its rather large and angular notch, so it definitely lags behind the other two devices. Port selection on all three devices is the same, with each device sporting a USB Type-C port and a 3.5mm headphone jack. 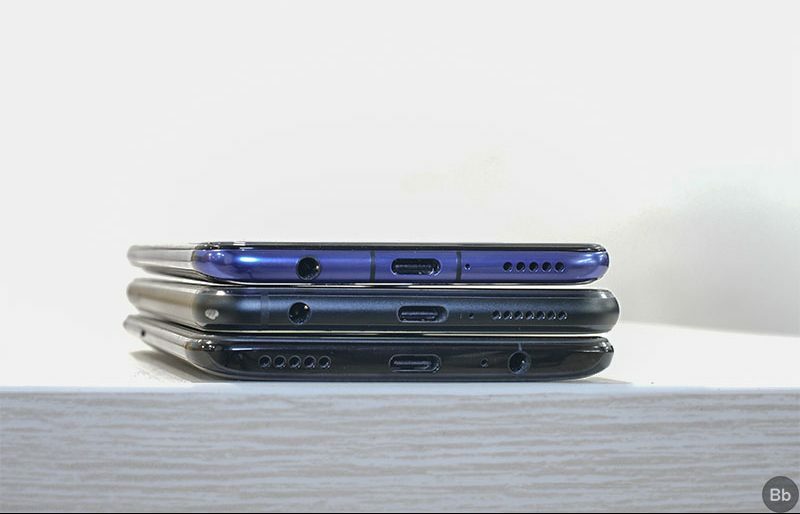 While all three devices have the same selection of ports, I personally prefer the headphone jack placement on the OnePlus 6 because using the device in the landscape orientation with a headphone plugged in is much more comfortable on the device, than on the other two smartphones. On the ZenFone 5Z and the Nova 3, the headphone jabs into my palm while using the devices in landscape mode, making it rather uncomfortable. All three devices have a glass back ,with a dual camera setup and a fingerprint sensor placed in the center. When it comes to the camera placement, I personally preferred the Nova 3 and the ZenFone 5Z over the OnePlus 6, as I often hit the camera lens while trying to reach the fingerprint scanner while using the OnePlus 6. I didn’t have any such problems with the other two devices as their camera setups are placed in the top left corner of the back. All three phones are very fragile and big time fingerprint magnets with their glass backs, but since it’s pretty much a level playing field, I’m not gonna address that issue. Finally, I’d like to address device ergonomics under this section. 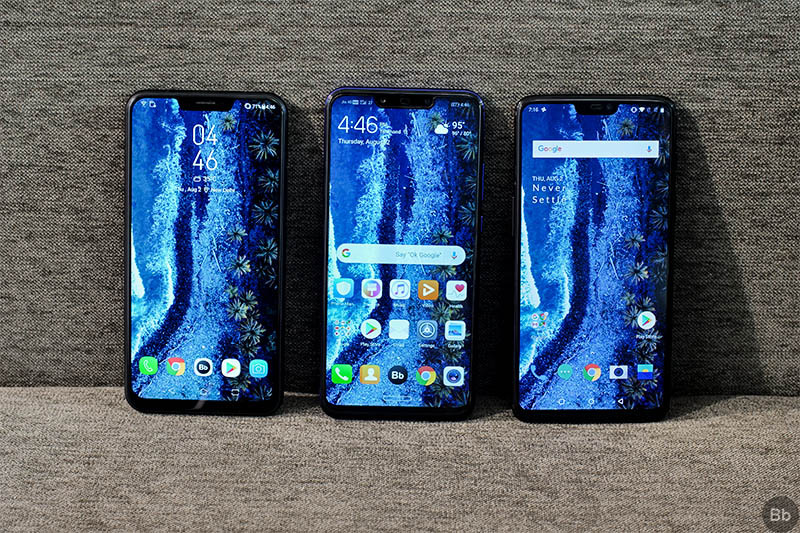 Out of the three devices, my least favorite was the ZenFone 5Z as it’s just a bit too wide for my taste and it’s blocky design isn’t really comfortable to hold, compared to the other two devices. The OnePlus 6 takes the second spot, with its slightly curved frame which is still a bit on the thicker side than the Huawei Nova 3, which is the slimmest and most ergonomic smartphone out of the three. 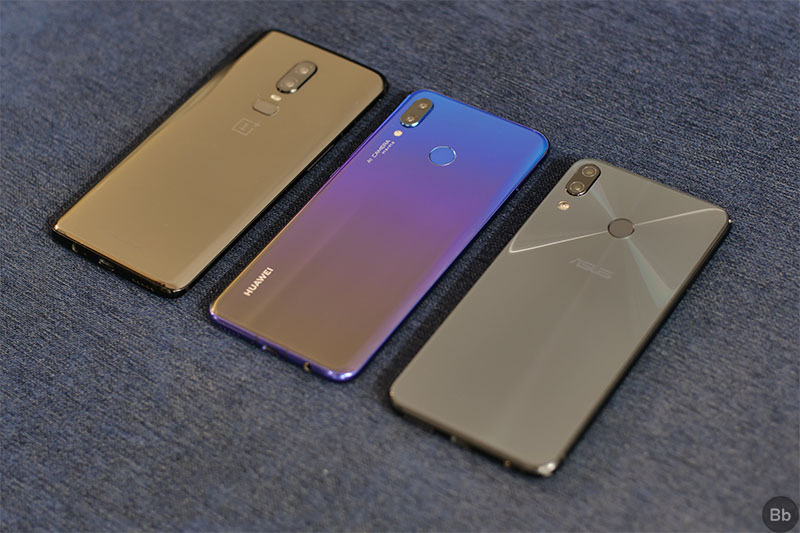 Since all three devices look and feel very premium, which they should considering their price tags, and have their own set of shortcomings that I’ve mentioned above, I think it’s safe to call it a tie between the OnePlus 6 and the Huawei Nova 3 in the design and build quality department. As you can already tell from looking at the specifications, the OnePlus 6 is the clear winner in the display department, thanks to its Optic AMOLED display. The OnePlus 6’s display is a lot more vivid than the other two devices, with deep blacks and punchy colors, that you can only achieve with an OLED display. While the other two displays aren’t bad by any means, they’re just not as good as the one found on the OnePlus 6. Among the other two contenders, the Asus ZenFone 5Z has the better display, which doesn’t get as bright as the one on the Nova 3, but is slightly more vibrant than the other. The display on the Nova 3 also has a slight issue, with the backlight not quite reaching the curved edges around the notch, so I’m gonna have to shave off a few points for that. The default color profile on the ZenFone 5Z, which is a bit warmer than the Nova 3, also looks a bit more visually appealing. Talking about sunlight visibility, the OnePlus 6 once again takes the cake, closely followed by the Huawei Nova 3 and the ZenFone 5Z coming in last. In case you’ve read our full review of the Huawei Nova 3, you’d already know that the company sent us an unlocked device which prevents us from installing any popular benchmarking applications. In our full review, we ran those applications on the Huawei P20 Pro, which has the same hardware specifications, and we found out that the included Kirin 970 processor isn’t nearly as fast as the Snapdragon 845 powering the OnePlus 6 and the ZenFone 5Z. However, in this case, since we couldn’t install AnTuTu or Geekbench 4 on the Nova 3, we won’t take their scores into consideration. Instead, we’ll take a look at their 3DMark scores, a popular benchmarking application which Huawei seems to have forgotten. As you can already see, the OnePlus 6 scores the highest, with the ZenFone 5Z taking a close second and the Nova 3 lagging far behind the other two. 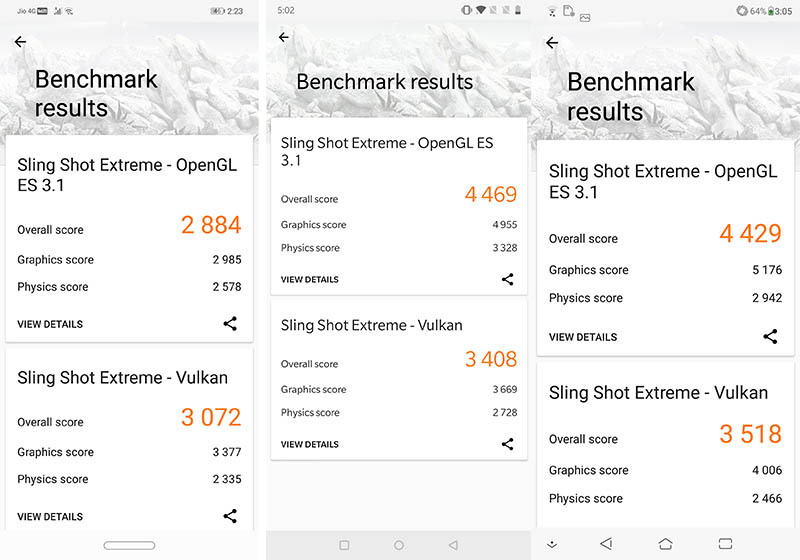 The Kirin 970 powering the Nova 3 is no match for Qualcomm’s latest flagship Snapdragon 845, and the results speak for themselves. Looking at the benchmark scores it might seem that the Huawei Nova 3 is a bad performer, but that isn’t the case when it comes to real world use. In my time with the device, I didn’t notice any stutters or lags even though it runs a pretty heavy Android skin. Games run as smooth as on the OnePlus 6 and the ZenFone 5Z, and multitasking on the devices is just as good. However, the OnePlus 6’s animations are just a smidge smoother than the other two devices, which makes it feel a tad bit faster. Since all three devices are pretty new, I can’t know for sure how well they’ll age with time, but I can safely assume that the newer Snapdragon 845 chip on the OnePlus 6 and the ZenFone 5Z is more futureproof than the Kirin 970, making the devices a safer bet. All three devices run a skinned version of Android Oreo with a bunch of customizations which provide some useful features to the end user. However, out of the three, the OnePlus 6 has the best software experience as it provides a near stock Android experience which not only looks better, but is also much better to use. OnePlus’ OxygenOS is definitely the best software experience I’ve come across so far, because it’s as close to stock Android as possible while still offering a bunch of features that most users will use almost every day. It also feels a bit more snappy than the other two ROMs, thanks in part to its fluid and short animations. On the other hand, Asus’ ZenUI 5.0 and Huawei’s EMUI 8.2 are quite far from offering a stock Android experience and I personally don’t really like how they look. While both the ROMs offer far more customizations and features than OxygenOS, the additional features aren’t all as useful as the ones on OnePlus devices. Both the OnePlus 6 and Huawei Nova 3 also feature full-screen gestures, but the full screen gesture experience on the Nova 3 is a bit better than the ones on the OnePlus 6. 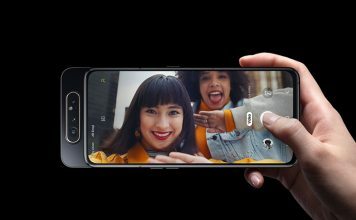 The ZenFone 5Z on the other hand doesn’t include full-screen gestures, making it the least desirable smartphone out of the lot. When it comes to software updates, OnePlus also has a better track record than both Huawei and Asus, so the software experience will definitely be the best even in the long run. Note: Since software experience is a subjective matter, with different users liking/disliking different ROMs for their customizations or lack thereof, my personal views might not match yours, so you can go ahead and select your favorite on your own. As you’d expect, the Nova 3’s slightly larger 3,750mAh battery lasts quite a bit longer than the 3,300mAh batteries found on the OnePlus 6 and ZenFone 5Z. In day-to-day use, with little to no intensive tasks, the Nova 3 is capable of running for upwards of two days on a single charge, while the OnePlus 6 and the ZenFone 5Z last a bit over one day. This is perhaps a result of the software optimizations found on the Nova 3, which also drastically improve its battery life when the device is not in use. The smartphone doesn’t lose any charge when left unplugged overnight, giving it a slight edge over the other two devices. In heavy use as well, the Nova 3 trumps both the ZenFone 5Z and the OnePlus 6, once again due to the larger battery pack on the device. The tables are turned in OnePlus’ favor when it comes to charging as the Dash Charge technology on the OnePlus 6 charges the device slightly faster than the ZenFone 5Z and significantly faster than then Nova 3, which take an abnormally long time to charge. In my testing, the OnePlus 6 took just 1 hour and 15 minutes to reach full charge, while the ZenFone 5Z took 1 hour and 30 minutes to reach full charge. The Nova 3, due to its slow charging speeds and larger battery capacity, took 2 hours and 25 minutes to reach full charge. With that in mind, I think the OnePlus 6 is the clear winner in this category as it’ll allow you to quickly top up your battery whenever you’re in need, while also offering decent battery life on a single charge. 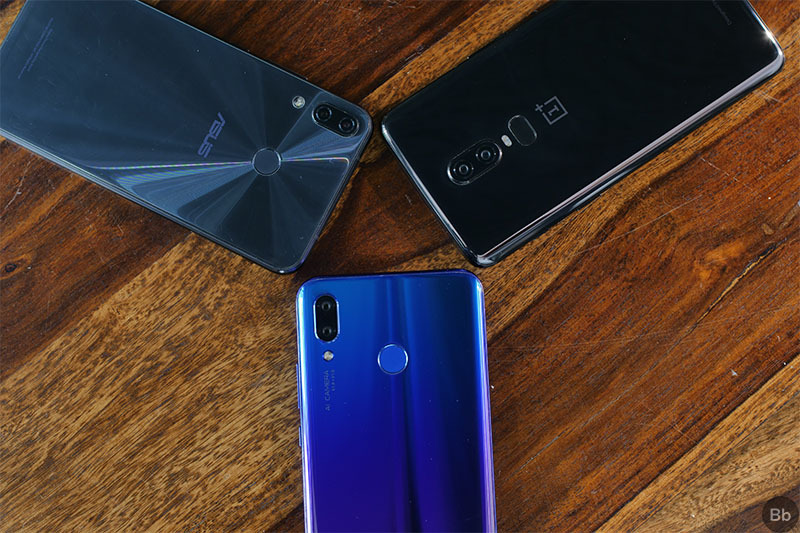 Huawei Nova 3 vs OnePlus 6 vs Asus ZenFone 5Z: And The Winner Is? As you can see, OnePlus 6 is still the winner when we take all individual factors into consideration. 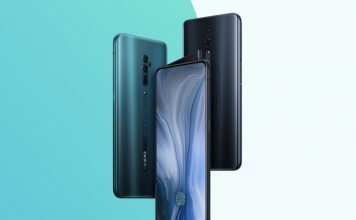 But that doesn’t mean that the Huawei Nova 3 and Asus ZenFone 5Z are bad devices. 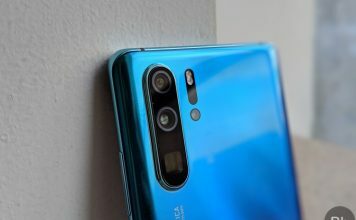 They also have their own strengths, with the Huawei Nova 3 packing the best camera setup out of the lot and the Asus ZenFone 5Z offering the best value for money. 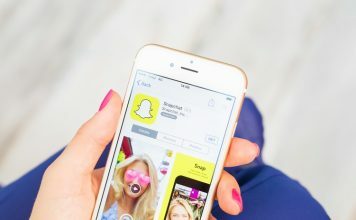 Even though the verdict is quite clear, you might still be a bit confused as to which device you should choose, since the competition is so close. So let me make it a bit easy for you. 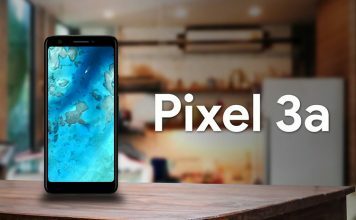 If you’re looking for a device that has great cameras which delivers stunning images time and time again along with a decent battery life, then you should definitely go for the Huawei Nova 3 (Rs. 34,999). If you’re looking for the best performance, a great software experience and the best fast charging capabilities, then you should go for the OnePlus 6 (starts at Rs. 34,999). And in case you’re looking for a smartphone that offers the most value for money, then you should definitely go for the Asus ZenFone 5Z (starts at Rs. 29,999). Personally, I’d choose the OnePlus 6 over the other two devices because I really like the software experience, my lifestyle demands a device which I can charge rather quickly and I don’t really use my smartphone’s cameras all that often. Your priorities might be different and you can choose the device which best suits your needs.